A great bartender ensures that no one ever drinks alone. From remembering your name to knowing your drink, a little attention goes a long way -- and mixing one hell of a cocktail certainly doesn't hurt. But actually loving the job seems to be the key ingredient. And these three bartenders assuredly love their jobs. Without further adieu, here are the best of the best. 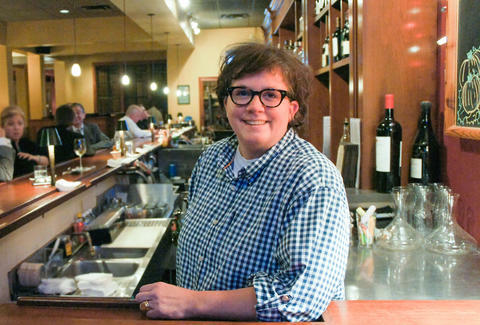 Leanna was studying to be a teacher at Delta State University when she got a job bartending at the Como Steakhouse. “I never taught a day of school. I think I may have saved a lot of kids’ lives,” she jokes. Now with 24 years of experience, she says that loving what she does and her love for people helps her to be successful in the industry. “I care about my customers very much,” she says. Leanna worked at the Grove Grill for about two years and then left for a bit, but has now been back for three and a half years. She loves that it's locally owned and that it’s a very neighborhood bar despite being in East Memphis. Her customers are like family, and she even spends holidays with them. Leanna doesn’t have a specialty drink; rather, she says that every drink she makes is special for the person drinking it. She herself prefers a Coors Light. Parks, as he is known to his customers, got his start by default. A group of his friends (and his friends' friends) were wiling away a Thursday afternoon over-indulging in the cheapest beer and smokes they could find when a guy he barely knew decided that he didn't want to go to bartend. Parks jokingly responded, "I'll go." He took him seriously and told him it would be fine, his boss wouldn't care, and it was easy. Parks needed the money, so he went. However, the boss did care. He was furious. He also realized that Parks was his only option. “He worked me like a dog, I suppose he was punishing his errant employee by proxy. At the end of the night, after all the other staff was long gone, he told me to sit down. I expected the worst. He poured me a drink, handed me a ludicrous amount of money, then proceeded to tell me what a great job I had done. He said that he had an unexpected opening and asked if I could work any other shifts,” explains Parks. After several years at Alchemy, Parks recently moved to The Cove. “It is a fun little dive bar, but I intend to make sure it is a great dive bar,” he says. Parks’ specialty is making sure customers get the drinks they want. He will ask questions to get an idea of what people like and then figure out how to make something they will enjoy. If he doesn't hit the mark, he'll make something else. “I want you to be truly happy with the libations I pour for you. If you are not, tell me, I will gladly adjust it to suit you. I love what I do or I wouldn't do it,” he says. He began as a barista when he was 21 years old at Otherlands. 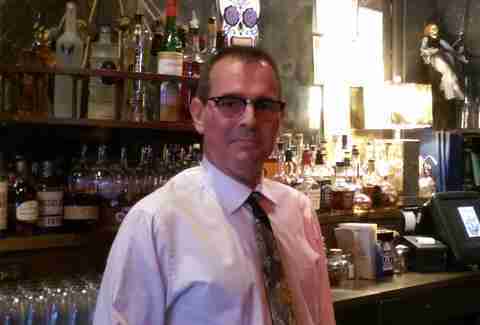 Then Sally Anasser and David Parks taught him the art of bartending at Maxwell’s. He continued bartending private events through Another Roadside Catering. After eight years as a full-time DJ/entertainer, he went back to full-time bartending at the Hi Tone in 2012. 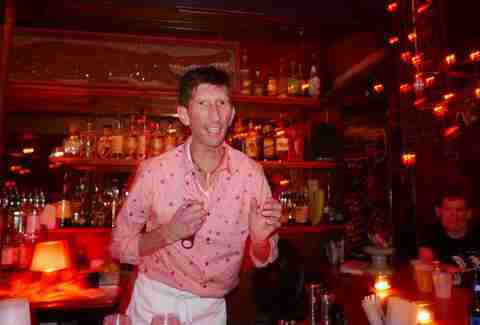 Soon after, he was hired as restaurant manager and bartender for the Beauty Shop Restaurant & Bar DKDC. Stevan makes a mean gin Rickey, Manhattan, and Old Fashioned, and firmly notes that nobody makes a better Budweiser and shot of Tullamore Dew than he does. He's also the most gracious and hospitable bartender you'll ever drink with. It’s more than cocktails with him. In addition, he loves sharing hidden gems and BBQ dives with any guest at his bar. Many travelers and bands have stayed at “Hostel Lazich” (his Central Gardens guesthouse), and he proudly takes responsibility for creating more than a few memorable Memphis nights. “Bar DKDC keeps my local music scene in the same room I bartend in. We have beautifully crafted cocktails, generous rum selections, and 40oz Busch beer. What more could this boy ask for?” he says. Stacey Greenberg lives in Memphis with her two sons. She is the author of the award-winning blog, DiningwithMonkeys.com. Her Tuesday bartender texts her if she's late.